If you need to enhance and update the outside of your house, contact Wilson Built Homes, LLC. We offer an array of exterior remodeling services to keep your home beautiful and safe. Take pride in the appearance of your home. Call 325-518-3687 today to schedule exterior remodeling services in Tuscola, Texas. From making required repairs to simple improvements, our remodeling contractor will handle every step of the process. We can do the planning, as well as the actual remodeling work. We can repair or replace your roof so your home can stay protected from the weather. 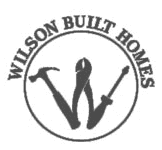 Learn more about our exterior remodeling services in Tuscola, TX by contacting Wilson Built Homes today.